“Why can’t I make more money, no matter what I do?” is a question I often hear from clients. Manifesting money is very complicated… and very easy, depending on how you look at it. Money is energy, plain and simple. The truth is that manifesting a million dollars (or more) is no different than manifesting a parking space or a penny. We’ve all done that, right? You drive into the parking lot and the perfect space is just waiting for you. That’s synchronicity in action. Manifestation Tip: If you aren’t finding a parking space, repeat to yourself over and over, “The perfect parking space is opening up for me now.” It totally works! And how many times have you walked by a penny on the ground? The bottom line is: The only reason why manifesting a lot of money feels different for us, and feels so much harder than manifesting a penny (or a parking space), is because we THINK it’s different. 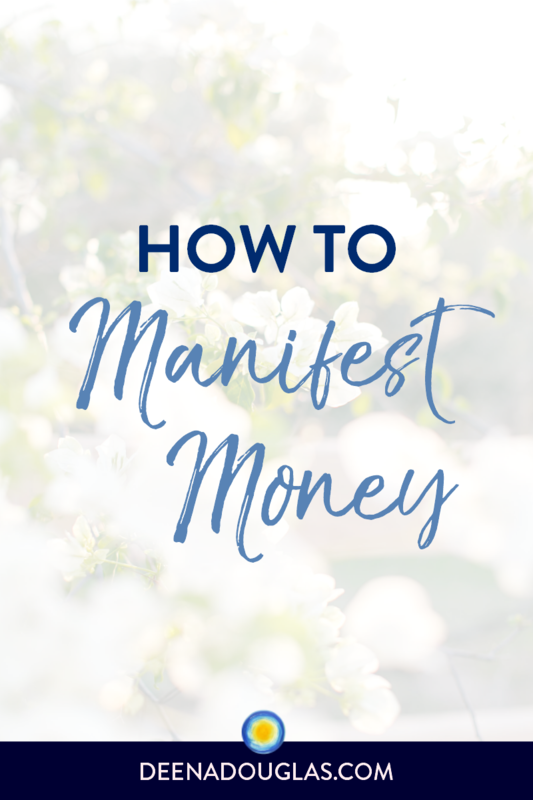 It’s our own beliefs and judgments about manifesting money that make it hard for us to do it. Talk to someone who has a lot of money, and they’ll tell you that it’s easy to make money. (Note: I’m not talking about not doing hard work. I’m just saying that manifesting the money is easy for them.) There are stories about people who’ve made a fortune in business and lost it, and then made it back very quickly. I’ve heard many people say that if they lost everything, they know they would rebuild their wealth very quickly – faster than the first time – because now they know how to do it. Conversely, there are countless stories of people who won the lottery and then found themselves broke again, a short while later. The truth is: It all comes down to our mindset – what we think and believe – about ourselves, the world around us, other people and money. The fact is that we live in an abundant universe. Just look around you. There is no lack in nature. Yes, there are seasons, but no lack. Nature is showing us the abundance that’s available to us all the time. 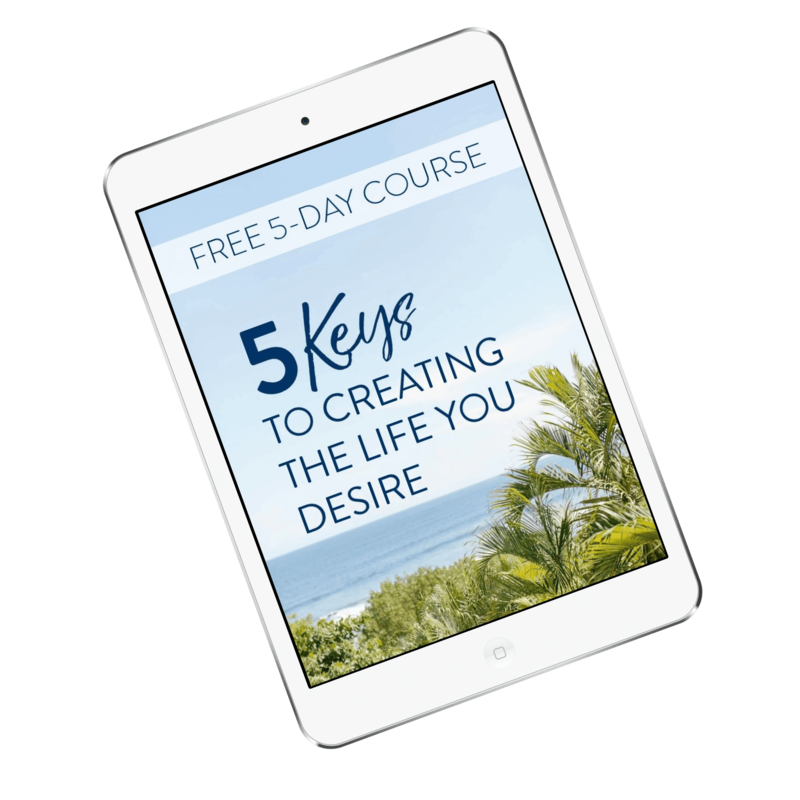 We only need to decide we want it – and have an abundant mindset and take inspired action. We need to BELIEVE that it’s possible. Like Dr. Wayne Dyer’s bestselling book says, “You’ll See It When You Believe It.” Our beliefs create our reality. Our experiences merely mirror and validate our beliefs. If you want to know what you really believe, look around at your life. You may not like what you see, but the only way to change it is to first become aware. Once you know it’s possible, your life will change. 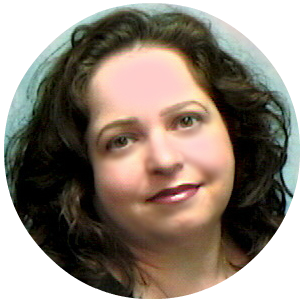 You will begin to attract to you experiences that reflect your NEW beliefs. How do you want your life to be? How much money do you want to make? How do you want to make it? What do you want to do? Then take inspired ACTION. Act as if you were the person who was making that much money. What would that person do? Would they sleep late? Spend endless hours on social media? Binge-watch Netflix? Complain about life? Probably not. Brainstorm and write down WHAT THAT person would do. What time do you wake up? What is your morning routine like? How do you spend your day? As you go through your day, become aware of WHAT you’re doing and ask yourself if it’s an action that’s bringing you closer to your goal. The truth is: it’s not complicated. It’s been made complicated by our limiting beliefs – and a lot of the self-help gurus out there that make you think there is some magical process. But that’s not a bad thing. The truth is that this is available to all of us. It’s our Divine birthright. We all have the ability to manifest whatever it is we desire. Focus on what you want, believe it’s possible, and take inspired action. money manifesting ritual & get your money mojo working today!